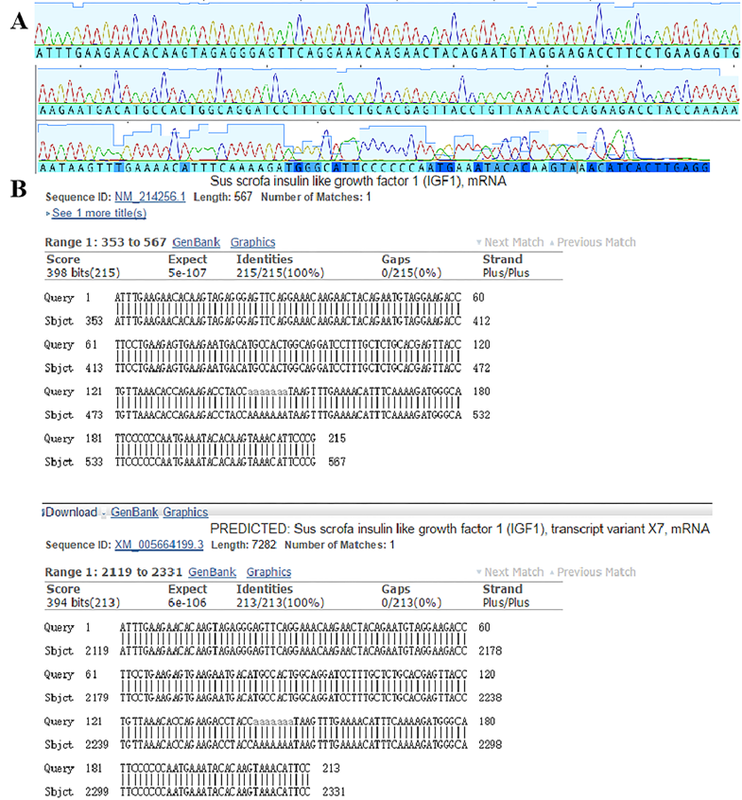 Insulin-like growth factor-1 (IGF-1) is a functional candidate gene for pig growth and development due to its crucial role in the growth axis of growth hormone-IGF-1. Considering that the 3′ untranslated region (3′UTR) of gene may affect its expression, we analyzed the effect of a single-nucleotide polymorphism (SNP) (rs34142920, c.674C > T) on gene expression, cell proliferation, and apoptosis and the possible related molecular mechanisms in PK-15 cells. The SNP was found in the 3′UTR of IGF-1 in Bama Xiang pig in previous investigations. Results showed that the SNP was located at the target site binding to microRNA (miR-511). The 3′UTR of IGF-1 gene with C allele significantly downregulated the expression of IGF-1 gene compared with that of the gene with T allele by luciferase assay. 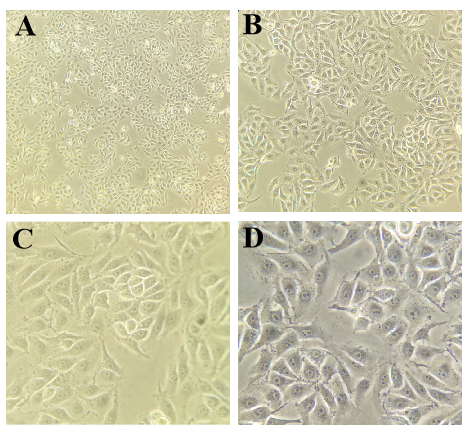 miR-511 was transfected into porcine kidney cell line (PK-15 cells) to reveal its effects on cells and whether or not it targets IGF-1. 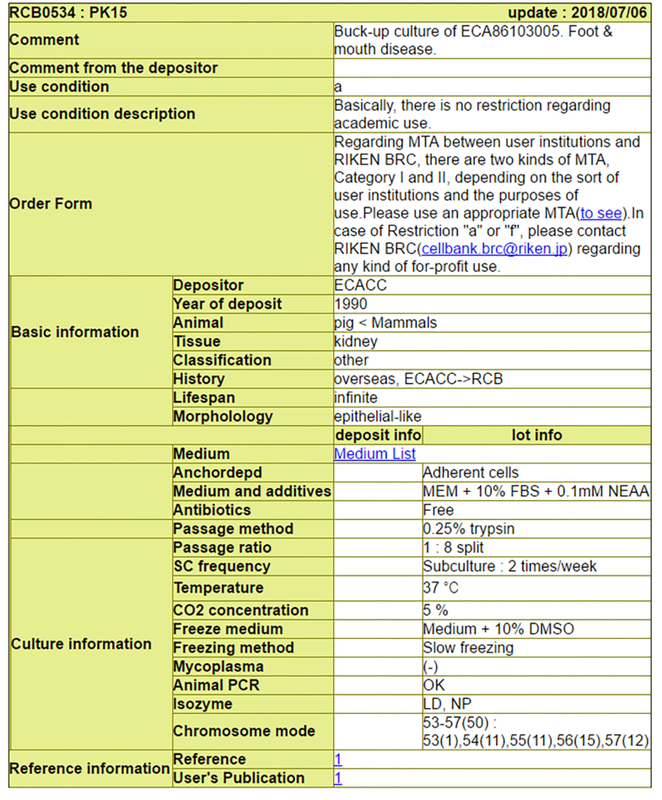 The expression levels of IGF-1 at mRNA and protein levels were remarkably downregulated. 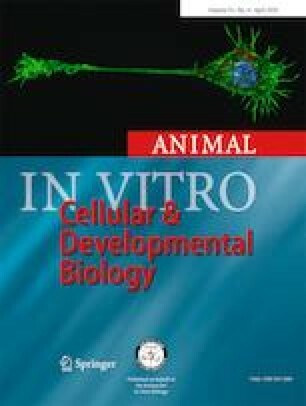 miR-511 significantly inhibited cell proliferation and promoted cell apoptosis by downregulating the phosphorylation level of AKT and ERK1/2. This finding confirmed that miR-511 inhibits proliferation and promotes apoptosis by downregulating the IGF-1 in PK-15 cells. Wenzhen Wei and Gang Wang contributed equally to this work. The online version of this article ( https://doi.org/10.1007/s11626-019-00329-4) contains supplementary material, which is available to authorized users. This work was supported by the National Natural Science Foundation of China (31672514 and 31772699) and the Jilin Scientific and Technological Development Program (20170101024JC). All of the protocols in this study were approved by the Ethics Committee on the Use and Care of Animals at Jilin University (Changchun, China) and were in compliance with the National Institute of Health Guide for the Care and Use of Laboratory Animals.